Although Old Mars is not part of the MAFC - the Treaty of Io that ended the Great War of Liberation ceded it to Earth 'in perpetuity' - it remains the spiritual home of Martians and their link to a glorious past that includes the first recorded declaration of independence by an extra-Terran grouping; the Hellas Declaration by the Helix Brotherhood in 2172CE (UC2832). Many modern Martians are descended from the colonists who originally settled Old Mars - following the Treaty of Io an estimated one billion Martians, around half the population of Old Mars at the time, left to the new Martian colonies, especially New Mars. Furthermore, Martian technological aptitude, especially in the field of genetics, was developed during the terraforming of Old Mars, from 2123CE (UC2783) to about UC3000. As a result, Old Mars has a special place in the hearts of Martians, and Esteeler ingratitude and indifference to this heritage provided the spark that finally led to a parting of the ways between New Mars and Asteel in 2976. Old Mars originally followed a similar developmental path to its sister planets Earth and Venus, but unlike these two its mass was not sufficient to hold on to lighter, volatile molecules to the same degree, and its oceans gradually dried up. 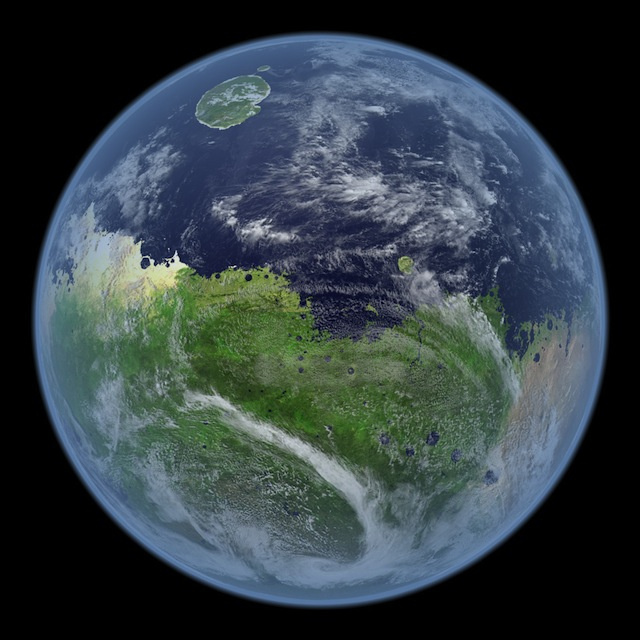 The terraforming of Old Mars has returned those oceans to its surface, and Mars is now a green and fertile world. 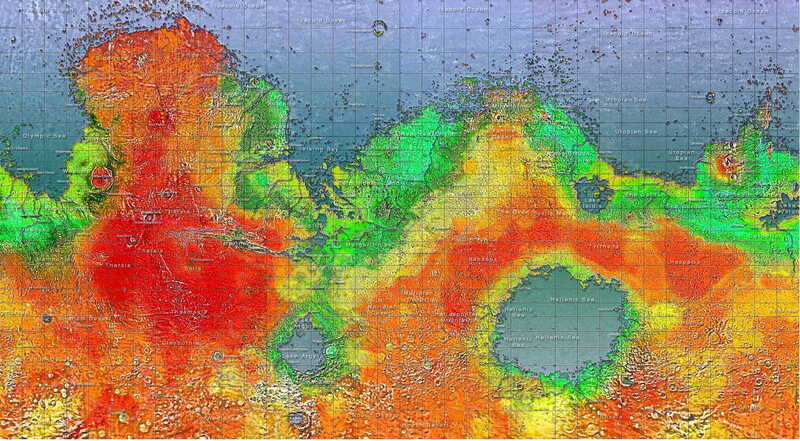 A map of Old Mars is shown below [acknowledgements for it are due to Dutch Martian cartographer Franz Blok].